Often referred to as the toxic legacy of our digital generation, e-waste has fast emerged as one of the most pressing issues on the environmental and health front in India’s path to development. A couple of months ago, the United Nations reported an alarming statistic that the world generated 44.7 million tonnes – equivalent to the weight of 4,500 Eiffel Towers. Out of this, India’s contribution was a significant 2 million tonnes. To add to this, another disturbing fact is that 95% of this e-waste remains treated informally. The health and environmental effects of electronic waste are well-documented with toxic metals not limited to lead, mercury, and cadmium, resulting in birth defects, brain, heart, liver, kidney and skeletal system damage. In addition to this, e-waste can cause environmental deterioration by way of air, water and soil pollution. The Ministry of Environment and Forests (MoEF) defines 'e-waste' as “electrical and electronic equipment, whole or in part discarded as waste by the consumer or bulk consumer as well as rejects from manufacturing, refurbishment and repair processes.” To tackle this problem, the MoEF introduced the concept of Extended Producer Responsibility (EPR) in 2016, whereby the responsibility to collect and channel e-waste from consumers to authorized recycling units was placed with the electronics manufacturing companies and bulk consumers. 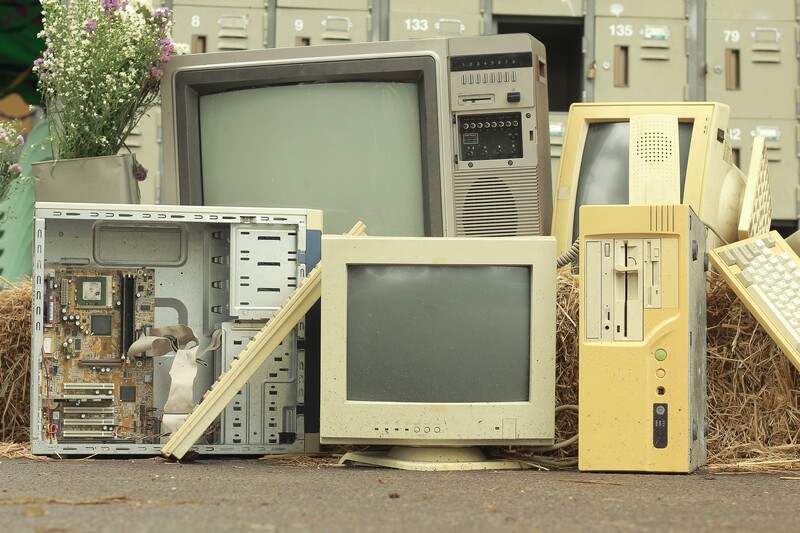 Although e-waste management laws have been in place since 2011, firms are now required to set yearly collection targets linked to their production numbers. In 2016 (followed by amendments in 2018), the MoEF clearly defined that the phase-wise collection targets for e-waste in weight shall be 10% of the quantity of waste generation as indicated in the EPR Plan during 2017-18, with a 10% increase every year until 2023. After 2023, the target has been made 70% of the quantity of waste generation as indicated in the EPR Plan. This can be undertaken by way of Individual Producer Responsibility (IPR) or Collective Producer Responsibility (CPR). In case of the latter, the organization can delegate its compliance organization to a Producer Responsibility Organization (PRO). While the Government policies have been geared towards making sincere efforts to address this pertinent issue, the on-ground reality remains far from the ideal scenario. There is a severe lack of awareness among the producers and consumers, dearth of requisite infrastructure and absence of regulatory enforcement agencies. An innovative way to look at this problem is to make a business case for it. As the basic principle of economics states, people and organizations respond to incentives. The three principles that must be adhered are those of accountability, business transformation and systems thinking. Awareness is of utmost importance to get the ball rolling but there are several challenges faced by both producers and bulk consumers that hinder proactive participation. The large-scale producers do not wish to be the first to transform their business, while the process is plagued by the evils of corruption and malfeasance. The medium-scale and small-scale producers, on the other hand, regard e-waste as a tick box in the event of production and do not attempt to engage in the process holistically and take the effort to build awareness. Although the informal waste pickers, aggregators and dismantlers are willing to enter the fold of formalization, the formal sector faces several challenges. These challenges range from lack of handling capacity to illegitimate facilities in the forms of multiple accounting of waste, selling to aggregators and leakages. There is sufficient evidence for a burgeoning business opportunity, creating an untapped potential for innovators to come up with unique business propositions to address this menace. We need to develop tracking mechanisms and provide oversight of e-waste compliance, in order to ensure that the mechanism of e-waste disposal is streamlined as much as possible. While enforcement strictness is of paramount importance, it is also vital to build an incentive structure around this to ensure better complicity by the producers. This is an area where the policymakers can step in and highlight opportunities underlying this perceived compliance evil for producers. The time is ripe for innovators to come up with propositions that bridge the gap between the compliance necessity faced by producers and the strong will of the Government to rid the toxic e-waste in a sustainable and safe manner.